A Statue in the old part of the city of Lyon, France. There was quite some changes in my hometown of Lyon since we left 4 years. One of the change is this nice Bronze animal proudly standing in front of centuries old building. 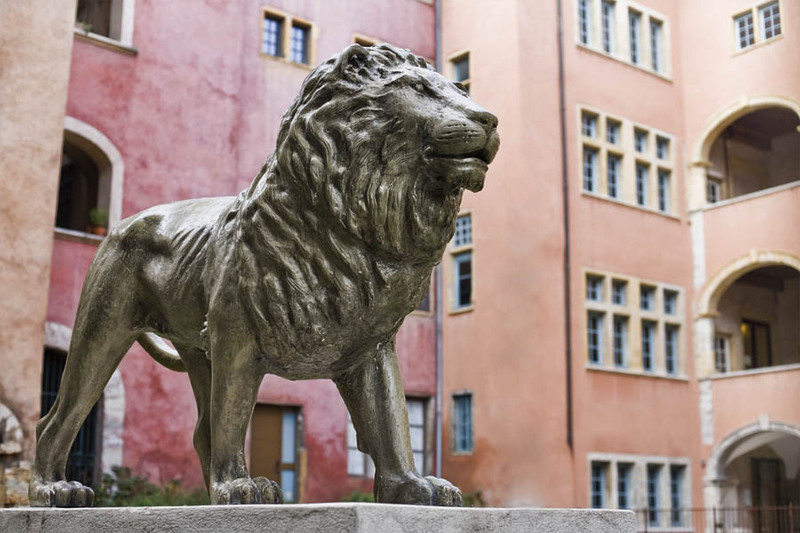 Great framing, interesting statue of a lion in Lyon!